Posted on January 30, 2015 by Sara K.
I realize it’s a bit ironic to declare ‘The Internet is Overrated’ on the internet. I certainly think it’s a bit ironic whenever The Archdruid Report disparages the internet on an online blog. But every The Archdruid Report, I encounter at least a hundred people claiming that ‘the internet is tHe AWesOMe!!^! !’ online, and another fifty offline. The internet also does not affect everyone to the same degree, and I can think of groups of people who have been particularly affected by the internet, in good and bad ways. I suspect that it may partially because we have been conditioned to expect new and flashy technological wonders to appear as time goes by, and the internet got promoted to the status of a technological wonder due to a lack of competition. When I was travelling in Japan (and sometimes even when I was travelling in Taiwan), I lost internet access for days, sometimes even for more than a week. What did I miss? – I also sometimes wanted to check details about where I was travelling, or to help make travel plans ahead. However, details of where I already was could generally be checked locally, without the internet, and I could save the advance planning for when I happened to have internet access. – I also wanted to keep this blog going, but I didn’t need regular internet access for this. In other words, I didn’t particularly miss the internet when it was gone. For pretty much everything I wanted, I could find a way to do it without the internet, and it wasn’t even that hard (need travel information? Buy a guidebook, and talk to the local people). It might have been different if I went months without the internet (for example, this blog would become inactive) … but ultimately, I can see myself having a life as fulfilling as what I have now without the internet. I’m not saying the internet is bad, I’m just saying it’s overrated. 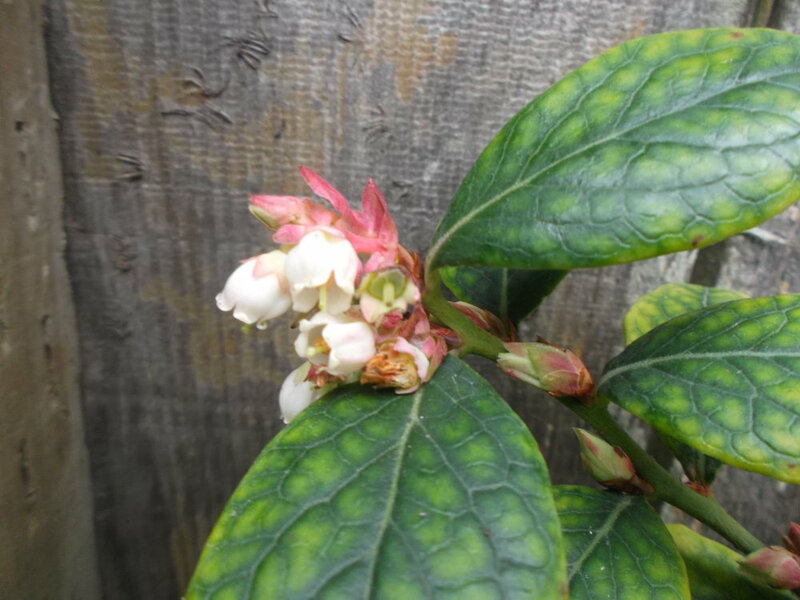 Posted on January 23, 2015 by Sara K.
All but one of my blueberry plants are putting out flowers, and some of them are putting out a lot of flowers. Right now. In January. Every photo in this post was taken on the morning of January 22. 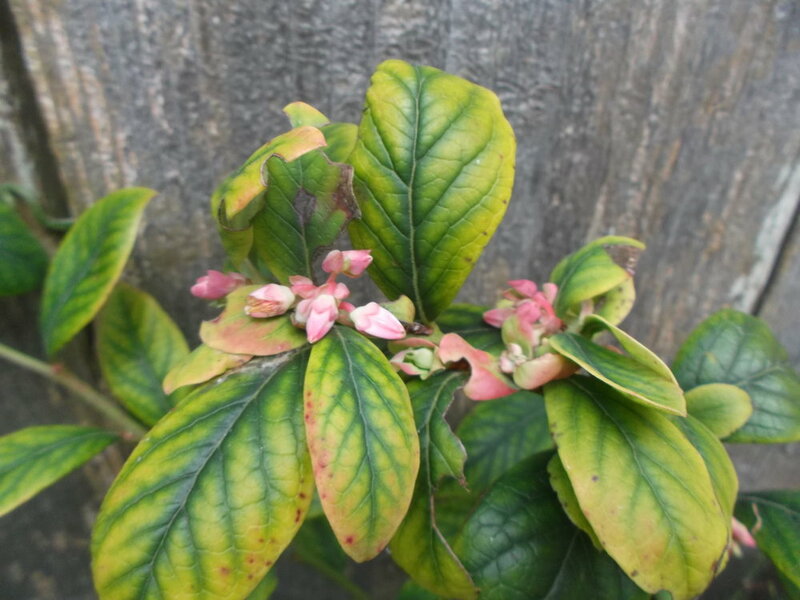 Some of the flowers haven’t opened yet (yes, some of these plants have an iron deficiency. I know. I’m going to address that). 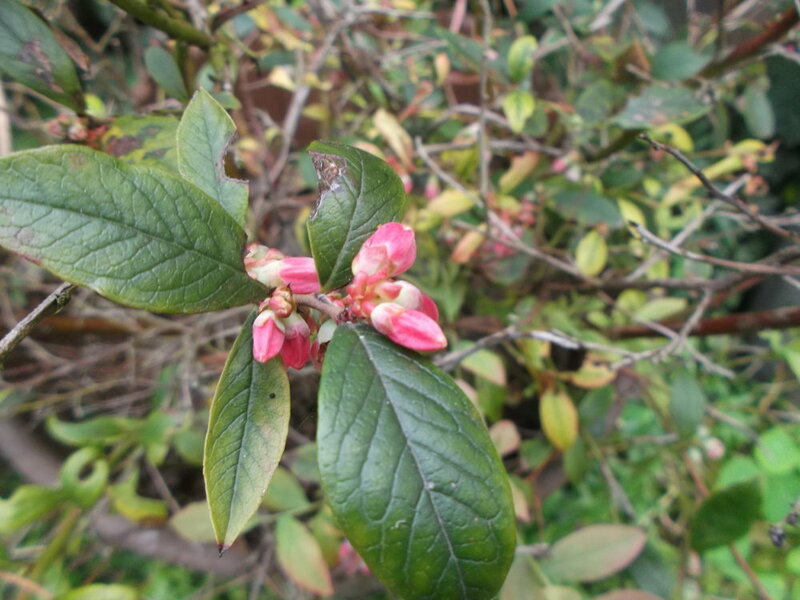 In particular, the Sunshine Blue bushes (it’s one of the blueberry varieties I have) seem to have a lot of this bright pink unopened flowers now. 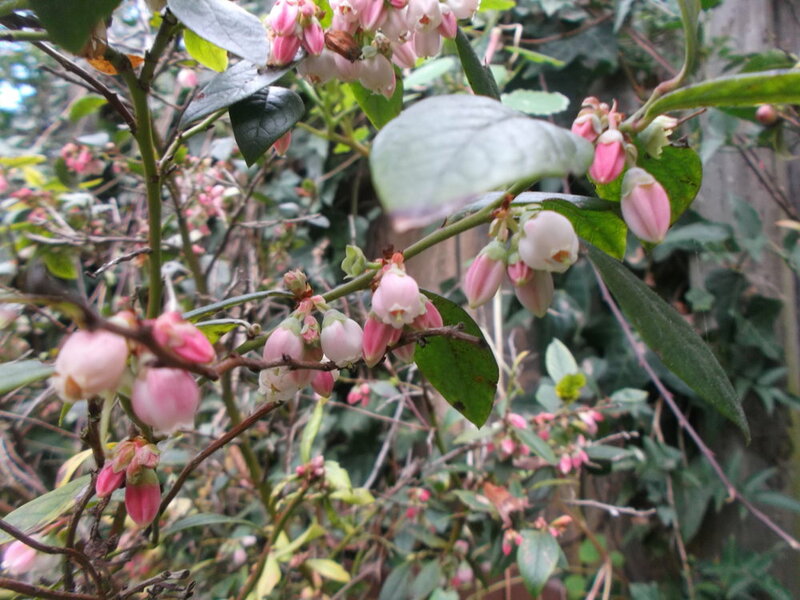 However, many of the flowers on the Misty bush (Misty is another blueberry variety) are in full bloom, and bringing in the hummingbirds (I’ve seen hummingbirds around the blueberries a few times this week). I particularly like this photo. If I were in the southern hemisphere, this wouldn’t be strange at all. But I’m in California. 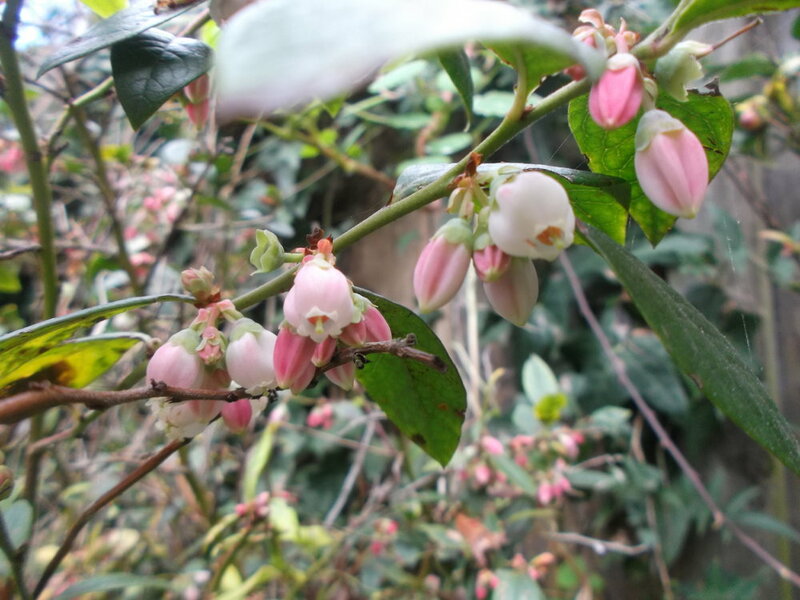 Blueberry bushes in January in the northern hemisphere are supposed to be dormant, not blooming. But I don’t just have flowers. I have berries. 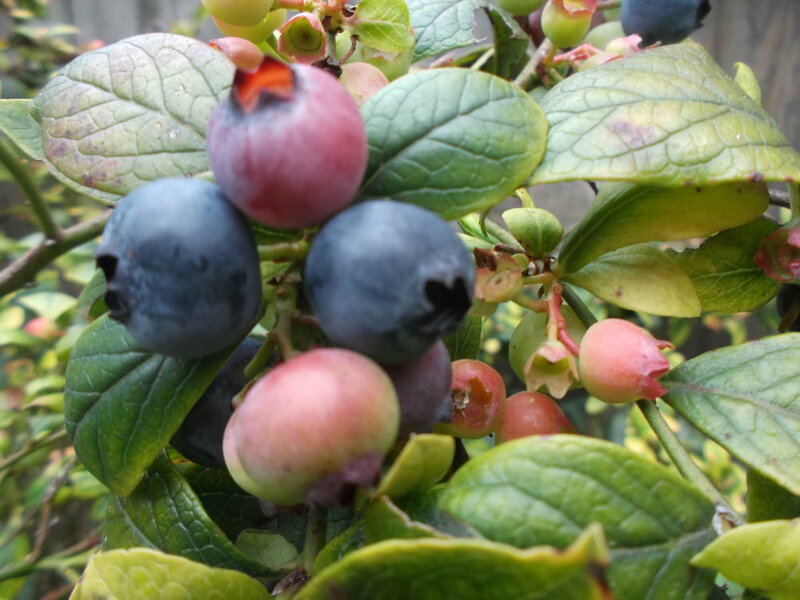 And some of these berries are almost ripe. This blog is called ‘the notes which do not fit’. 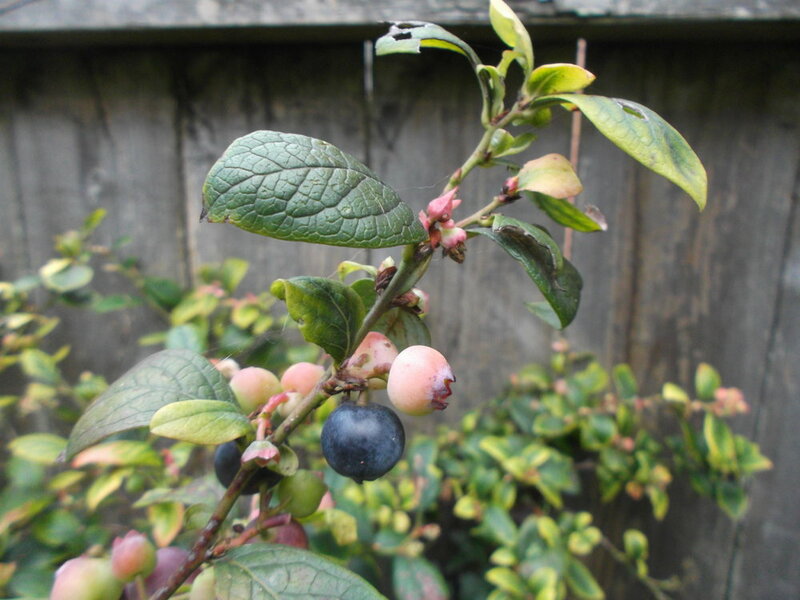 I can tell ya, blueberries, in January, in the northern Hemisphere, do not fit any of the standard knowledge about cultivating blueberries. 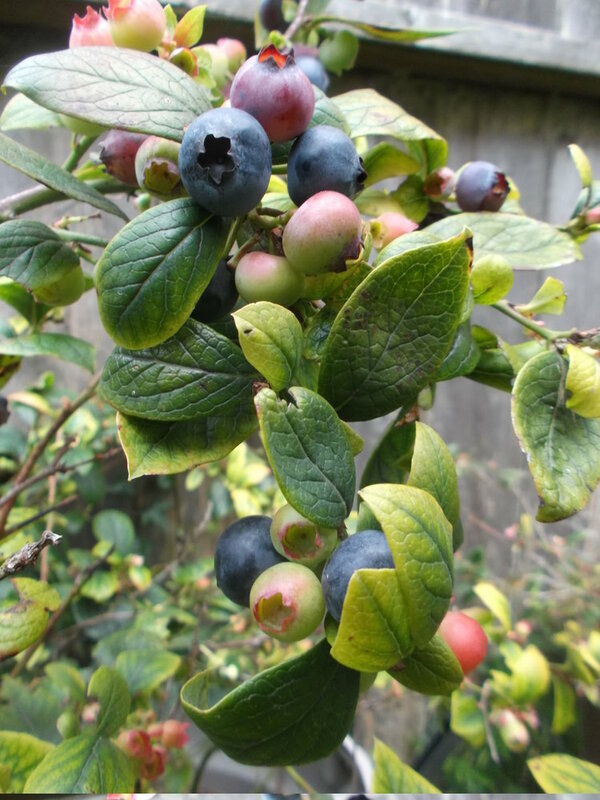 About the only thing which almost fits is that I recall reading somewhere about blueberry farms in California experimenting with off-season blueberries so they can fetch higher prices. I guess California is the place for this kind of thing. 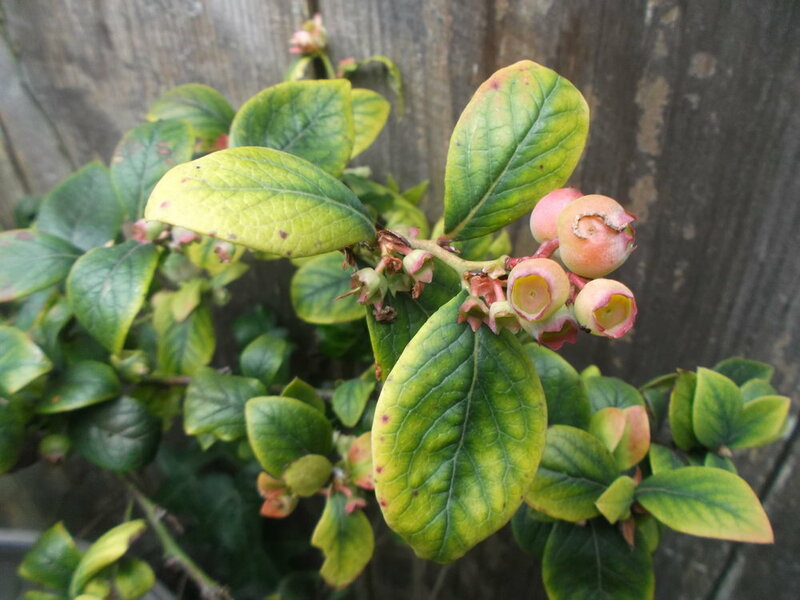 Oh, and I know that one of the blueberry varieties I have, Sharpblue, can sometimes put out berries in October/November, but a) it is not October/November and b) the Sharpblue only has a few little flower buds right now. 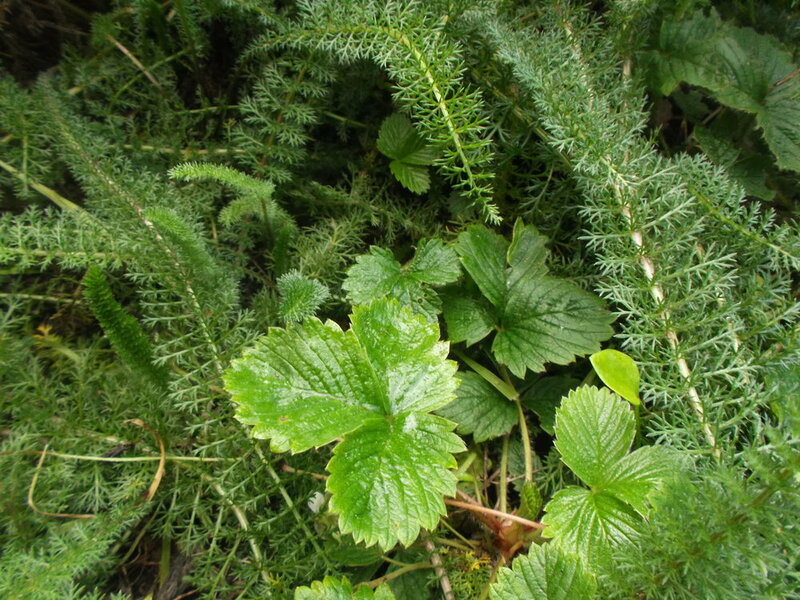 The woodland strawberry is making a comeback, thanks to the December rains, and the yarrow is doing fantastic. I don’t know what’s going on here, but if it means I get fresh blueberries in January/February, I’m not going to complain. Posted on January 16, 2015 by Sara K.
This is a response to “Let’s stop being bored, and start living our lives!”, which advocates for a basic income guarantee to improve quality of life. I sympathize with Alice’s sentiment. The idea of a 9-to-5 job where I do nothing meaningful just to pick up a paycheck is … well, it’s far from the worst of the human condition, but it’s still unappealing to me. And I agree that it does not advance the overall social good, though my cynical self thinks that some people benefit from having the middle class spend much of their week engaged in busywork and stressful commutes. For example, car companies and mechanics benefit from the long commutes, and this stressful, vapid lifestyle may make people inclined to spend money to ‘consume’ conveniences than people who had more control over their lives would – this is the argument of “Your lifestyle has already been designed”. Just as the invention of new forms of industrial automation in the eighteenth and nineteenth centuries had the paradoxical effect of turning more and more of the world’s population into full-time industrial workers, so has all the software designed to save us from administrative responsibilities turned us into part- or full-time administrators. In the same way that university professors seem to feel it is inevitable they will spend more of their time managing grants, so affluent housewives simply accept that they will spend weeks every year filling out forty-page online forms to get their children into grade schools. We all spend increasing amounts of time punching passwords into our phones to manage bank and credit accounts and learning how to perform jobs once performed by travel agents, brokers, and accountants. Furthermore … wouldn’t a guaranteed income reduce wages even further, much as Walmart and similar businesses are subsidized by food stamps and Medicaid? Are workers at businesses like Walmart better off because they get food stamps and Medicaid, or would they be better off with an effective union which ensured a living wage? Sometimes people advocate for a guaranteed income, not out of concern for the working class, but to ensure that consumption, and thus corporate profits, stay sufficiently high without having to increase wages (in other words, they are trying to outsmart Karl Marx). I delayed writing this until I read Yves Smith real life example of a basic income guarantee, which turns out to be Speenhamland system. I don’t necessarily agree with all of the conclusions – for example, though Yves Smith claims that the rural poor were worse off because of the income guarantee, there is no control group for the universe, and it is conceivable that, without the Speenhamland system, there would have been a famine in rural England. Nonetheless, I think the Speenhamland System does indicate that a basic income guarantee increases social inequality and cause the poor to lose power over their lives unless there are countervailing forces. I’m not against income guarantees per se. I do think they might do more harm than good if they are the centerpiece of a policy. At a minimum, I don’t think an income guarantee should be put in place without a very progressive taxation system (including, ideally, some form of maximum income – such as taxing 100% of all income above a certain level). What I think would be even better than income guarantee + progressive taxation is a jobs guarantee. The income guarantee offers workers a little bargaining power – workers can walk away from a totally abusive boss and not starve – but a jobs guarantee would offer stronger bargaining power, since employers would have to match the wage offered by the jobs guarantee program or else not find any willing workers. A jobs guarantee could provide jobs like childcare, eldercare, environmentcare – work that isn’t profitable, but increases social well-being. But the biggest advantage of jobs guarantee over income guarantee is that it offers much more meaning to people’s lives. Take for example my father. He practically has an income guarantee – social security plus rent from inherited property (his tenant is a Fortune 500 corporation) with Medicare to pay his medical bills. Yet he feels dissatisfied, and that he felt better when he had a job, and that sometimes he thinks of finding a job again. Why? He says that he doesn’t feel productive. I’ve suggested that if he doesn’t particularly want the money, he can volunteer for a worthy cause, and he’s considering the idea, but it doesn’t seem to be the equivalent of a job to him. People want to matter more than they want to live. Jobs, at least jobs which increase social well-being, make people feel like they matter. An income does not. Whereas the Spennhamland system raises serious concerns about the effects of an income guarantee, real-life examples of jobs guarantee programs, such as Argentina’s Plan Jefes de Hogar have very good results. Again, I suspect a minimum income + jobs guarantee would be fantastic. But I’ve become wary of minimum income alone. Since I posted the Roundup for the December 2014 Carnival of Aces “Touch, Sensuality, and Non-sexual Intimacy”, I received a couple more submissions. To Pegasus and Mark and all of the other contributors to this carnival: Thank you! To all of the readers of this carnival: Thank you! I am no longer accepting submissions for this Carnival of Aces, but you can still write about touch, sensuality, and nonsexual intimacy just for the heck of it! And finally, the January 2015 Carnival of Aces “Nonbinary People and Asexuality” is still running! Here is the call for submissions. Posted on January 9, 2015 by Sara K.
One of the very first things my mother said to me after I returned to the United States was ‘There is less of us than there was before’. She was mainly referring to body weight (i.e. we all weighed less than we did before), but I think her words had a deeper meaning than that. She is closer to death than she was before. My mother went through a health crisis in late 2013. She’s still recovering, though she experiences a lot less fatigue, and almost all of her pain is gone. However, some of the damage to her body is permanent. She will never again have the same level of physical ability as she did when I left for Taiwan. Now, my mother’s diet consists almost exclusively of fruits, vegetables, whole wheat pasta, and nutritional supplements. She does not eat any kind of animal product, legumes, non-whole grains, or nuts. That’s because one of her conditions cannot be medicated by drugs alone, but can be controlled by these dietary restrictions (her blood tests results improved significantly after she started this diet). Before all of this happened, I somehow had the idea in my head that the first person to have a health crisis would be my father, not my mother. I think it’s partially because my mother tends to constantly critique my father’s life habits, saying that this thing he’s doing is ‘unhealthy’, and that thing he’s doing is ‘unhealthy’, and she points out how she’s more careful than my father, which is mostly true. I think it also might have been because he’s male – women generally live longer than men, right? However, one thing my father is diligent about is exercise – much more so than my mother. And though my mother still claims that the food he eats is not as healthy as her food 1) he generally ate less food than my mother and 2) he paid some attention to Vitamin D. Years ago, my father and I occasionally wondered how my mother was getting enough vitamin D, since she hardly ever went out in the sun, wasn’t eating any vitamin-D rich foods, and wasn’t taking supplements. The answer was, she was NOT getting Vitamin D, and severe vitamin D deficiency was a key factor in her health crisis. Now, the difference between my father and my mother’s physical conditions is such that some strangers who see my parents together assume that they are mother and son – even though she is younger than him. My mother might live another 20 or more years – and as long as she is enjoying life, I hope she does. However, it is also possible that she will not. I don’t just mean that in a ‘she could get hit by a truck’ kind of way, I mean in a ‘accumulated health issues shut down her body’ kind of way. At the very least, her permanent loss of physical ability is an ever-present reminder of her mortality. And her mortality also reminds me of my mortality. Posted on January 6, 2015 by Sara K.
This blog has been running for exactly three years, and by now I’ve published over 200 posts. YEEHAAAAAAAA! I had delayed starting a blog for so long because I wasn’t sure if I could maintain one in the long-haul. Apparently, I can. As I did in my first anniversary post, I would like to point out the importance of the 500 word limit to this blog. The 500 word limit makes me write in a more concise manner than I would otherwise, and makes me throw out a lot of nonsense during editing. Finally, writing 500 words a week is not so difficult, which means I can keep this blog updated on a regular basis even when I have a lot of things going on in my life. I am much looser about the 500 word limit than I was during the first year of this blog, but I still try not to go too much over 500 words. Speaking of things going on in my life, at the beginning of 2014, I wasn’t sure if I could keep this blog updated. I knew I was going to spend most of 2014 travelling, and that sometimes I wouldn’t have internet access. I wrote the Beidawushan Series in a rush so that I wouldn’t have to worry about writing for this blog for a few months, and I figured I could write additional posts when I can and somehow have at least one post a week. Furthermore, I kept a supply of older drafts which I could edit quickly and post if I wasn’t able to write anything new for a particular week. Why Do So Few Foreign Tourists in Japan Visit the Countryside? As you can see, these posts are all about Japan. If you want to know about my travels in South Korea, you should visit my new blog dedicated to my travel experiences in South Korea, S.K. in S.K. Another theme this year is I discussed veganism and the ethics of eating much more than before. I think this is also because of my travels. When I was living in Taoyuan, I basically only went to vegetarian restaurants, and the people I associated with either never saw me eating, or knew I was strict vegetarian/vegan (it is much easier to convey the concept of ‘strict vegetarian’ than ‘vegan’ in Mandarin) and it didn’t need to be discussed that often. When I was constantly moving on to new places, and had to make my inquiries about ingredients over and over again, and kept on encountering people who found out I was vegan and were curious, I had to be a lot more conscious about it than I was in Taiwan, and thus I was more inspired to write about it. This will be my first year blogging in the United States, living with my parents (I think it is very unlikely that I will move out of my parents’ home this year). How will that affect this blog? We’ll see. And finally, a very big thank you to all of my readers! I try to avoid paying too much attention to this blog’s stats, but knowing that people are interested in my writing does encourage me to write more.